Join Stephen and Shade of Tax TaxSaleSupport.com for a Saturday Morning Real Estate Investor Online Workshop. During this workshop Stephen and Shade will reveal the investor strategies used by their inner circle. They'll also discuss the best ways to get involved with with tax sale investing. This will include tax liens, tax deeds and redemption deeds. Along with live, Online and Over the Counter investing. Also investors will get to ask questions during the training in real time. Webinars are limited to only 100 attendees! Be sure to register and save your spot before they're gone. Join us for the next free Tax Sale Investing Workshop! 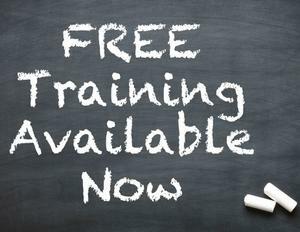 Stephen and Shade have been offering free tax sale training for over a decade. In fact investors spend over 2500 hours each month watching our YouTube vidoes alone. Listed below is some free offers to help you get started learning about tax liens and tax deeds. 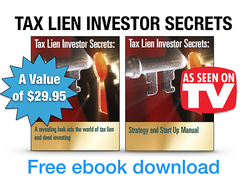 Dowload your free copy of our eBook series Tax Lien Investor Secrets and other free training. Download a Free copy of our ebook "Tax Lien Investor Secrets" (a value of $39) at our website SecretsofTaxLienInvesting.com. Stephen and Shade have been offering free tax lien & tax deed training online for over 15 years. Get your copy of our 2 part eBooks series SecretsofTaxLienInvesting.com or by clicking on the link below. Click on the links below to review information on Tax Liens, Tax Deeds and Redemption Deeds. Learn the basics of tax lien and deed investing by watching our Tax Sale Fundamentals Training Series. We list new videos and training on a monthly basis so check back often for our newest training videos. Each video is around 5-10 minutes and are a great way to learn the basics of Tax Lien and Tax Deed investing. CLICK HERE to watch training series. Each week on Friday we will post a new Weekly Update on YouTube. Each weekly update will include the auction hot list for that week, will answer investor questions and teach the tax sale weekly tip. Listed below is the link to watch the latest Weekly Update Training. CLICK HERE to watch series! We list new videos and training on a monthly basis so check back often for our newest training videos. Each video is a great way to learn the basics of Tax Lien and Tax Deed investing. CLICK HERE to review our Video Library. USA Map with tax sale breakdown and chart. Map includes all 50 States and is color coordinated depending if the state offers tax liens, tax deeds, redemption deeds or more than one selling method. Information includes the Tax Sale Type, Auction Dates, Interest rate returns and Redemption Periods. CLICK HERE to review USA Map!